I know several people who loved this book from the beginning, so imagine how I felt when it took me a while to get into it. I felt alarmed, actually. I had just felt let-down by These Broken Stars (which I didn’t hate, but didn’t love either) and thought a well-loved WWII book was exactly what I needed. I was confused by the narration, as “Verity” wrote about her friend Maddie and her perspective, about things Maddie did when she wasn’t with her, and even giving names of people she doesn’t know and recording conversation. Was she really writing all this down? Why? How does she know all this? I was so distracted by it all. And then we read an exchange between two people working at the prison she’s at, one who explains to the other – and to me as well – how and why Verity is writing her account as she was. 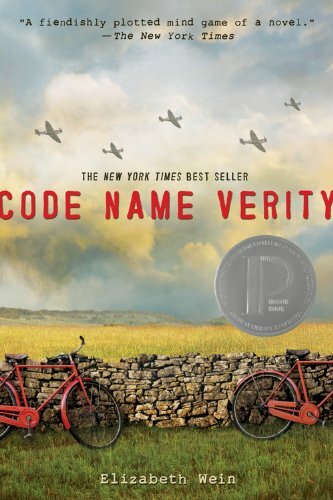 This entry was posted in Books, Reviews and tagged books, code name verity, elizabeth wein, review, WWII, YA. Bookmark the permalink.